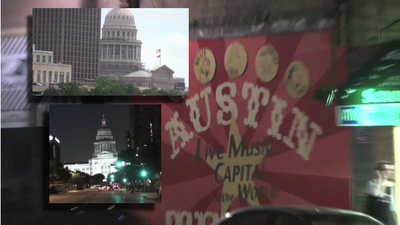 Announcing the introduction of a new short-film called: Austin is a Linchpin City. A small group of very loyal and passionate Seth Godin Blog readers started a Meetup.com group back in June 2010. We shared a vision. We wanted to “ship” something valuable and interesting for our city. We all believed in the tenants shared in Seth Godin’s book Linchpin: Are you Indispensable. From that we wanted to do something cool and fun to tell the world, YES, we are, and so is our great city, Austin, Texas. So here it is, just 2 months later: http://vimeo.com/13843742. Special thanks to Ryan Jeanes of http://www.theriverislife.com/ and David Crews of www.CrewsCreative.com. These guys are both Linchpins and were essential in the creation of this film. Also special thanks to the entire Linchpin Group, Mark Katz of Katz Deli, Roppolo’s Austin, and all the others who made this film possible. So, what makes Austin a Linchpin city? Without a doubt, it’s the people who live here.